We landed in the early afternoon at the smallest airport I've ever seen, just twenty minutes away from town. I highly recommend renting a car as the public transportation will limit your exploration opportunities. The most notable downtown destination is The Plaza, where boutiques, galleries, and restaurants line the quiet streets. 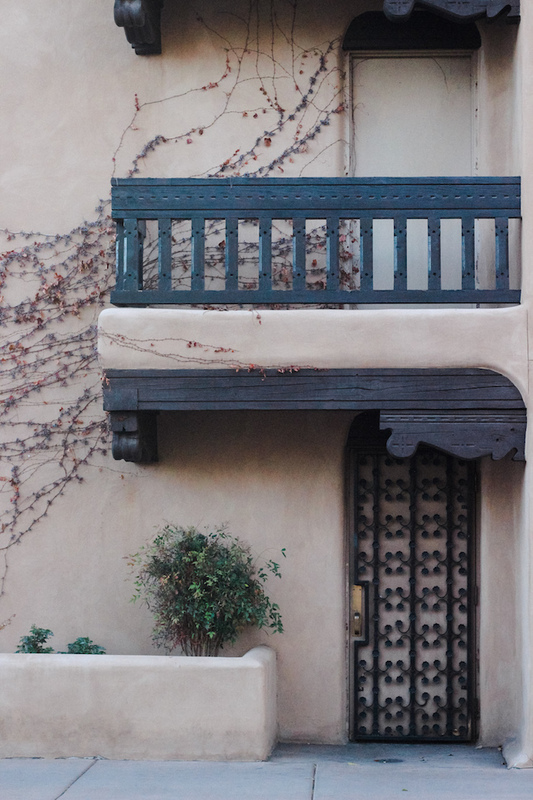 Santa Fe's colorful adobe architecture is unlike anywhere else in the country, a refreshing contrast from the concrete jungle here in New York. 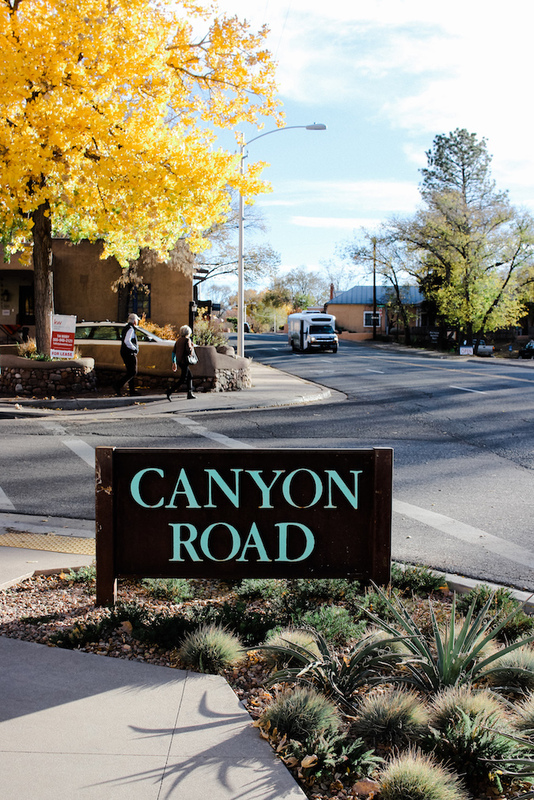 After strolling the Plaza for a few minutes, we quickly made our way to the nearby Canyon Road Arts district, which houses over one hundred art galleries. 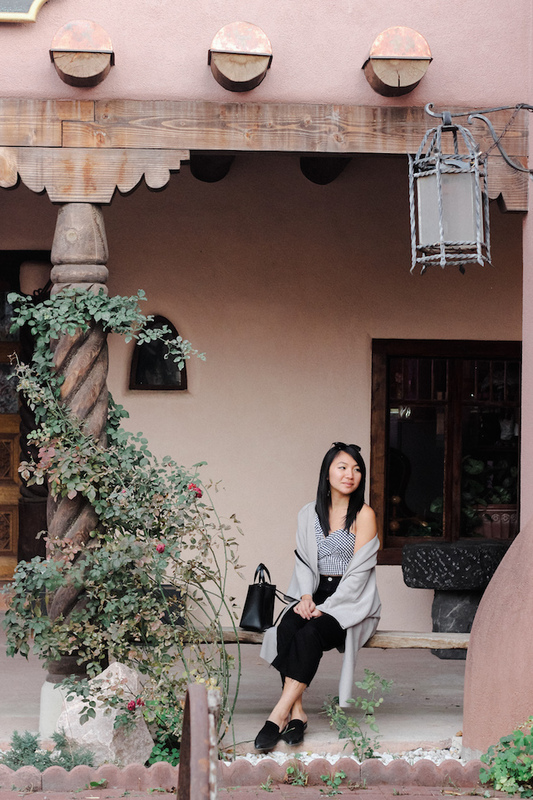 Exploring this area is a must when in Santa Fe, as its combination of art and architecture embodies so much of the culture in The City Different. 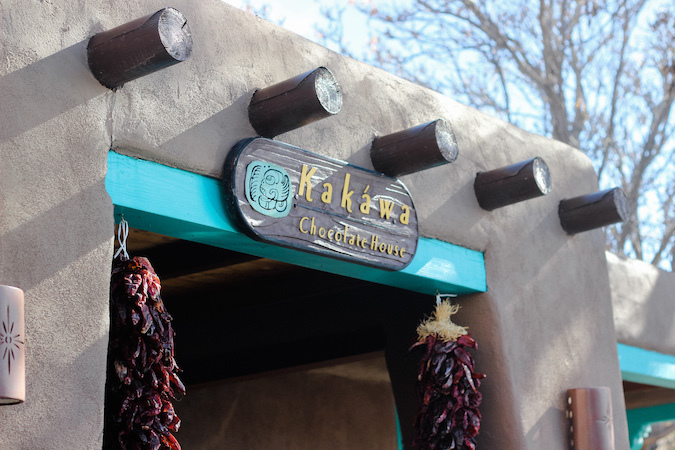 I will be sharing restaurant recommendations at the end of this post, but had to place a special highlight on Santa Fe's Kakáwa Chocolate House. 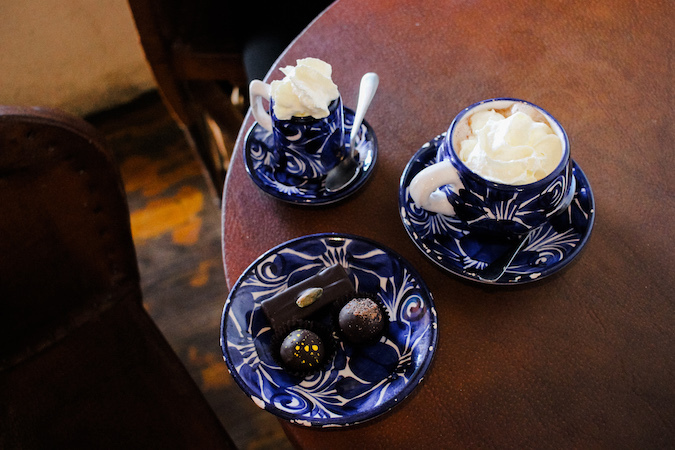 Inside this tiny building is an endless collection of all things chocolate, from truffles to spicy elixirs. Given the time I would have visited every day, as the chocolate here was some of the best I've had. Shortly before dinner we checked in at our hotel located just minutes from The Plaza, Hotel Santa Fe. This is the city's only Native American-owned hotel, and its design details show it. 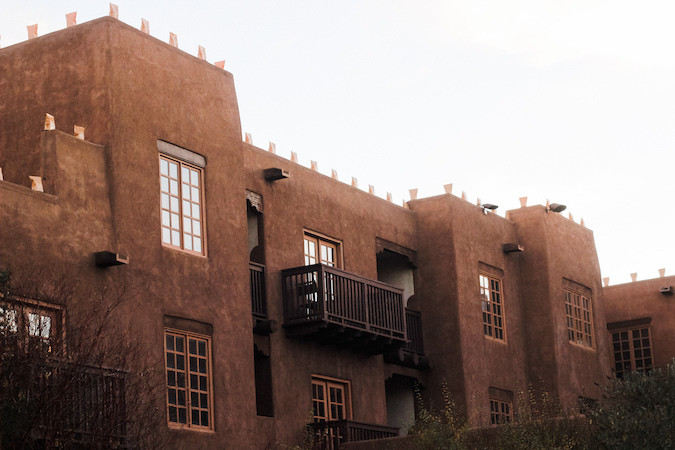 The hotel maintains the beauty of tradition and culture, providing you with the ultimate Santa Fe experience as you travel. 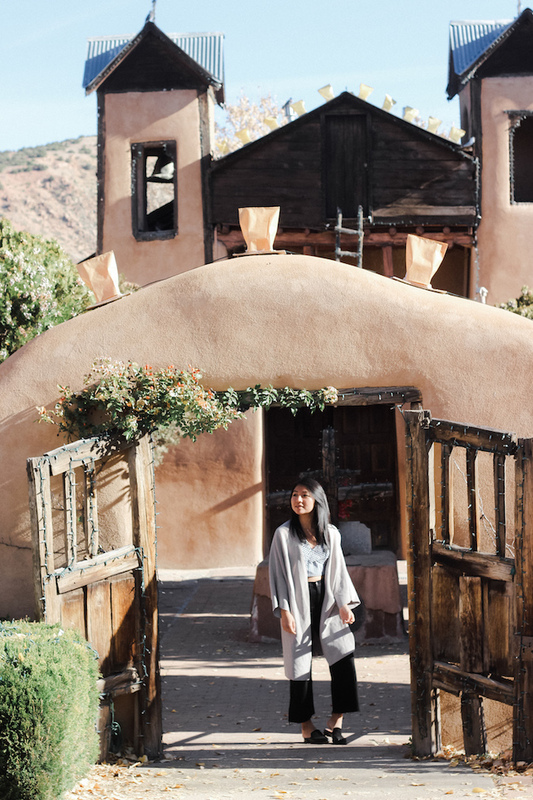 Nearby Santa Fe is the historic town of Taos, though visiting the area itself is only half the fun. 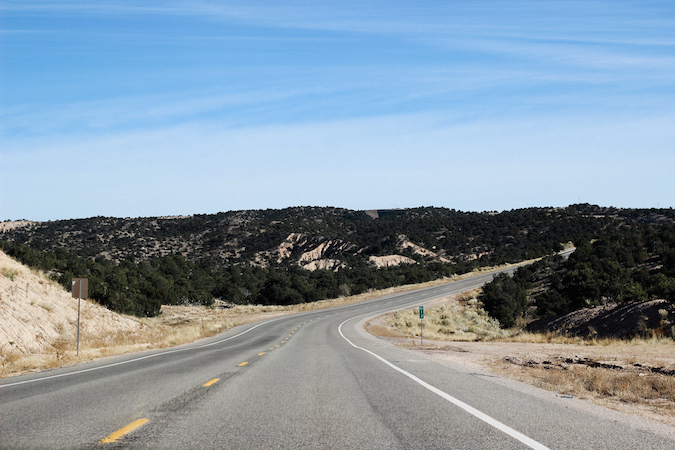 Parallel to the main highway is New Mexico's famous High Road to Taos, a scenic route with hidden historic stops along the way. The most notable stop we made was at the Santuario de Chimayó, a 19th-century church area tucked away within an old weaving village. 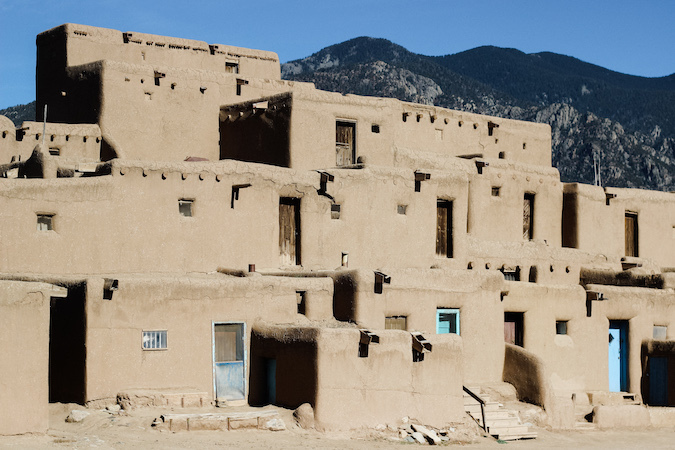 After less than two hours of driving you'll arrive in Taos, where the most famous sight is Taos Pueblo. 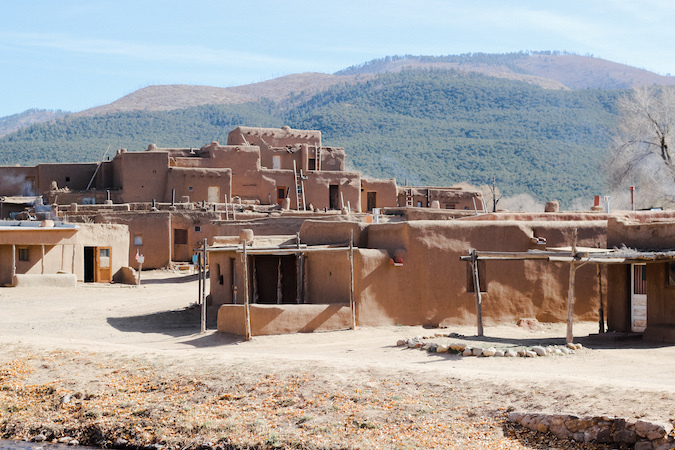 This community has been inhabited for over one thousand years, making it one of the oldest pueblos in America and a UNESCO World Heritage Site. I knew very little about this part of New Mexico's history prior to visiting the pueblo, but its well-detailed (and free) tours provided a great way to experience the culture. 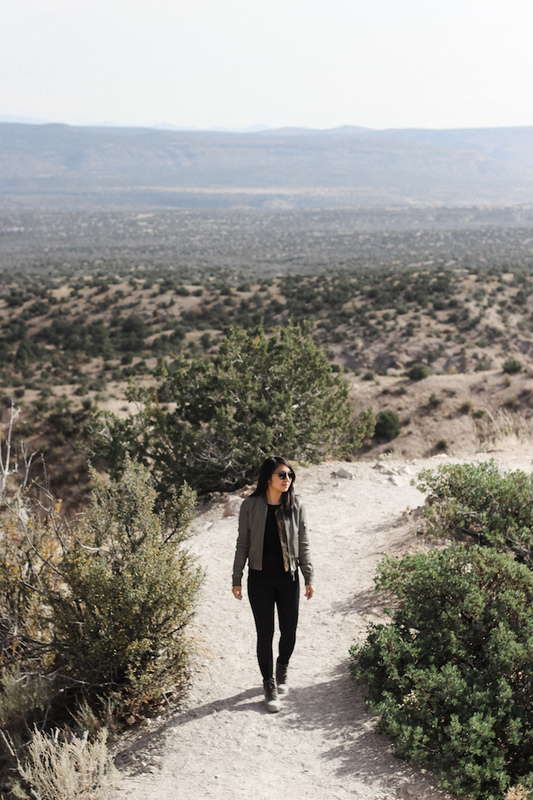 You can't visit Taos without spending at least an hour here. 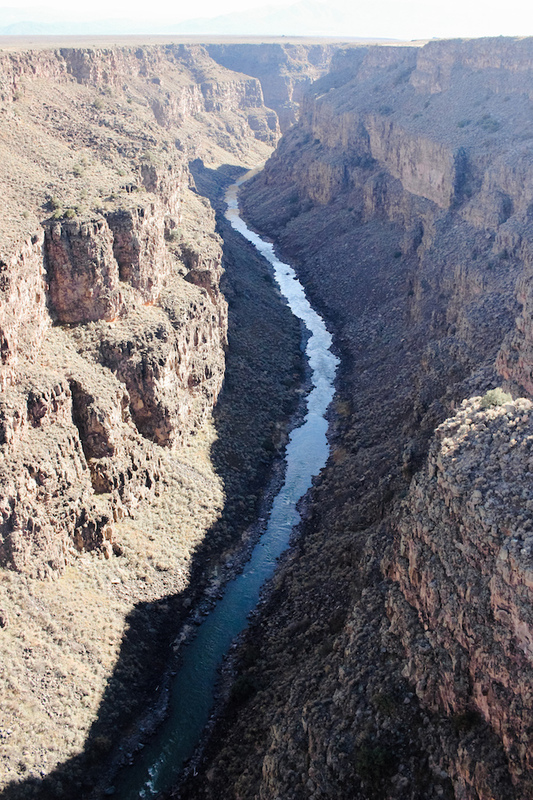 Another must-see in Taos is the Rio Grande Gorge Bridge, which crosses a deep gorge surrounding the famous river. You won't need long here, but it is a sight worth seeing even if only for a few minutes. Around the bridge is also a recreation area for a quiet stroll above the gorge. 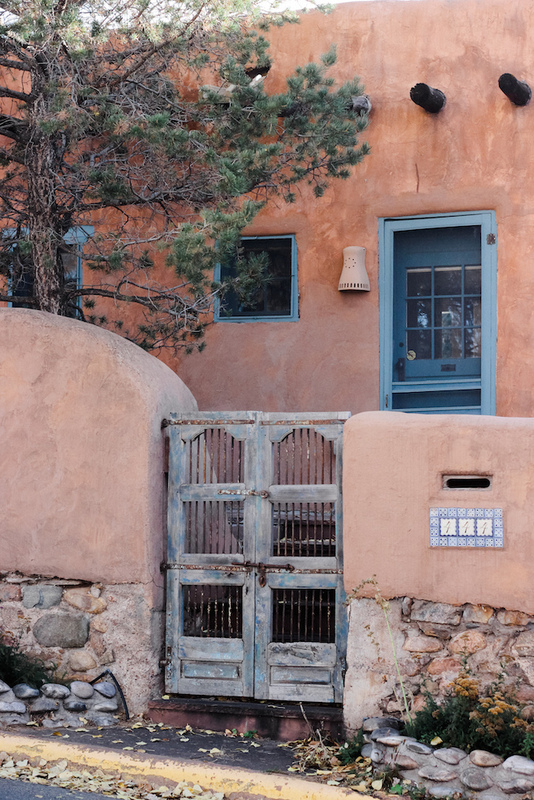 Like Santa Fe, Taos has no shortage of lovely, traditional architecture that speaks to the area's culture. 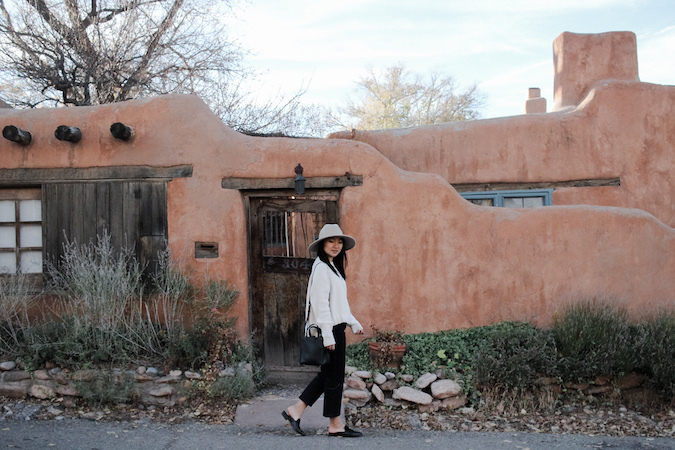 Nearby Taos Plaza are streets of galleries and stores that offer a nice browse before dinner. 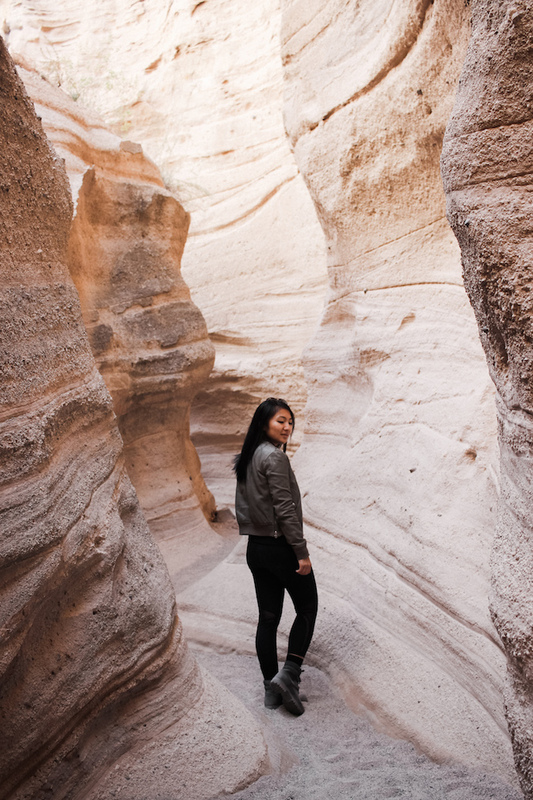 By far my favorite part of this trip was our hike at Kasha-Katuwe Tent Rocks National Monument. 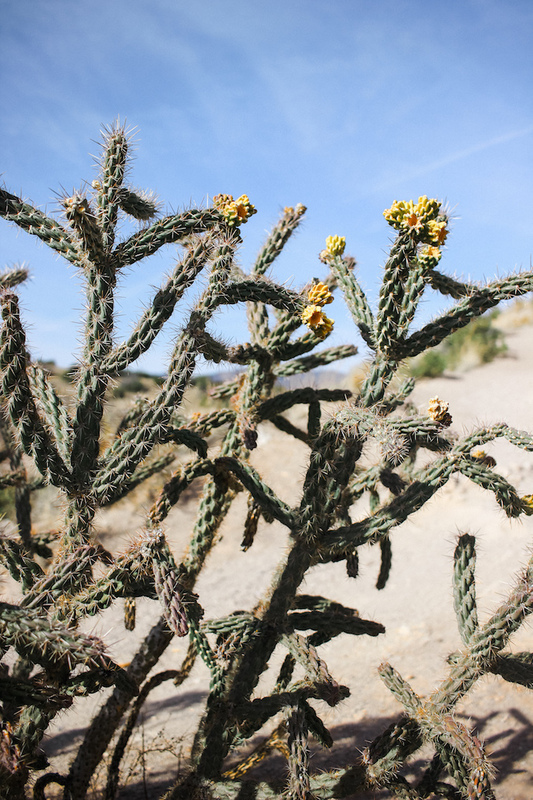 It was a hike unlike any I've taken before, with stunning rock formations, winding canyons, and incredible views overlooking the desert. 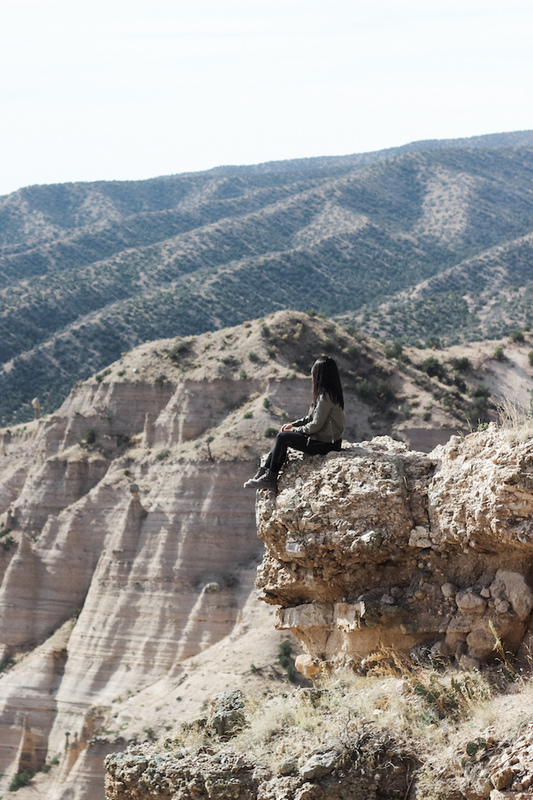 At only an hour's drive away from Santa Fe, it felt like a world away. You can easily finish this hike in about two hours (unless you stop for as many photos as I did), so scheduling this in should be a no-brainer. As a reward for completing the hike we ended the day with a hot tub soak at Sunrise Springs Spa Resort. 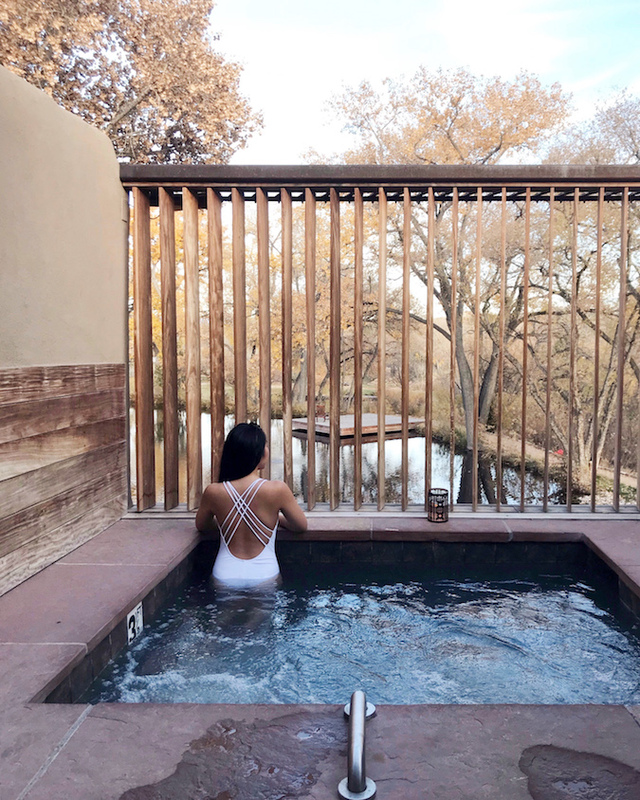 For $45, you can relax in a private outdoor hot tub that overlooks the hotel grounds for one hour. Needless to say this was the perfect conclusion to both a day of hiking and the trip as a whole. I can honestly say that we did not have one disappointing meal in New Mexico - in fact, all were fantastic. 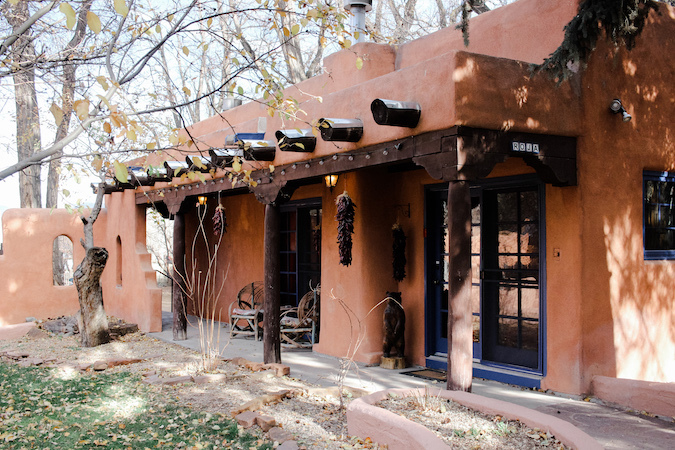 Santa Fe itself has a growing culinary culture that encompasses a variety of cultures. From modern Mexican cuisine to a local favorite French brunch, we thoroughly enjoyed our dining experiences throughout the state. La Boca - for incredibly delicious tapas and live music (this was my favorite meal of the trip). Common Fire (Taos) - for a contemporary lunch that any city dwellers will definitely enjoy. Elevation Coffee (Taos) - for great coffee, friendly service, and innovative latte art. 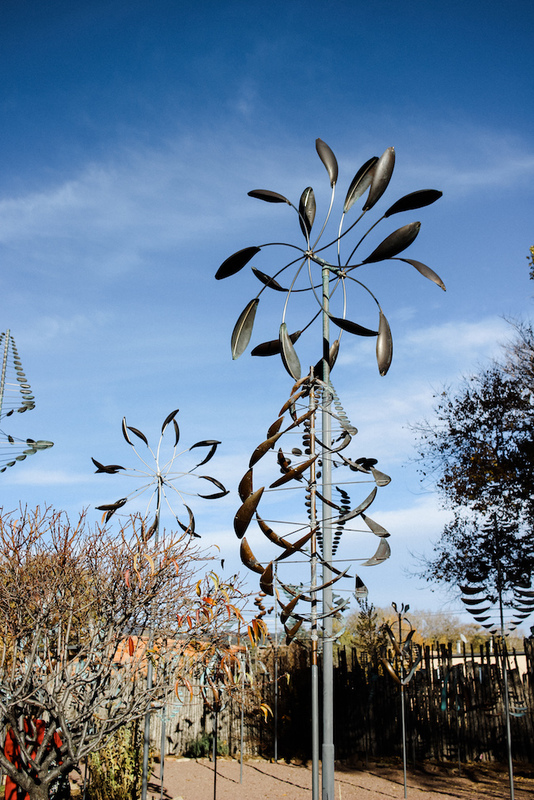 The Love Apple (Taos) - for modern Mexican cuisine and a beautiful patio setting. Sweetwater Harvest Kitchen - for a very healthy lunch (after your hike, of course). Paloma Restaurant - for more Mexican cuisine! The tacos and ceviche were noteworthy. Clafoutis - for surprisingly amazing French-inspired dishes. Go early for brunch! Modern General - for coffee with a side of shopping. Next time I'm trying the corncakes too. Oh my gosh, I love that New Mexico is finally on people's radar! Grew up there and it's so different than any other place in the US. I wish I could go back already! It was so beautiful there - and Clafoutis was amazing!! Wow! I love the scenery in your posts, Such a great photo! Taos looks so cool! I would never have known to visit had I not seen this on your blog. Beautiful photos, as always! Ohhhmmmyy all the photos are amazing. I wish i could travel in this place too. I really enjoyed the content and the photography. I can tell that you've had a blast. These photos are gorgeous! 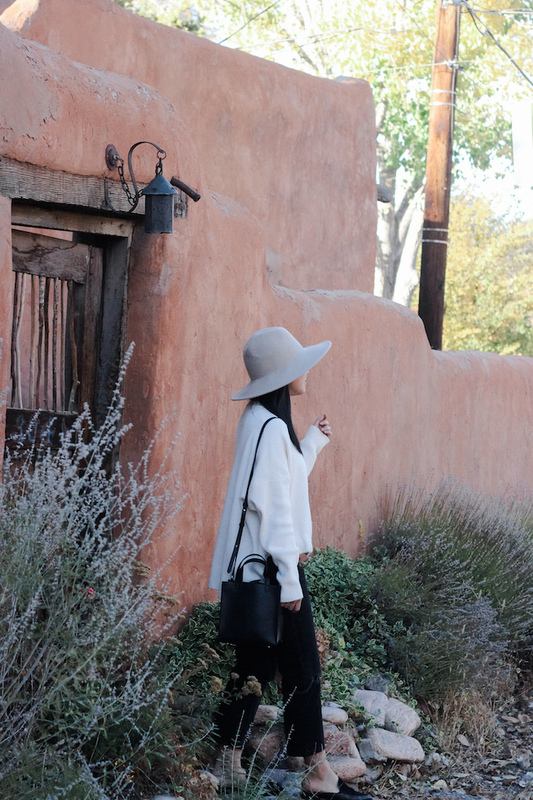 I absolutely love Santa Fe...it is such a beautiful place to visit! 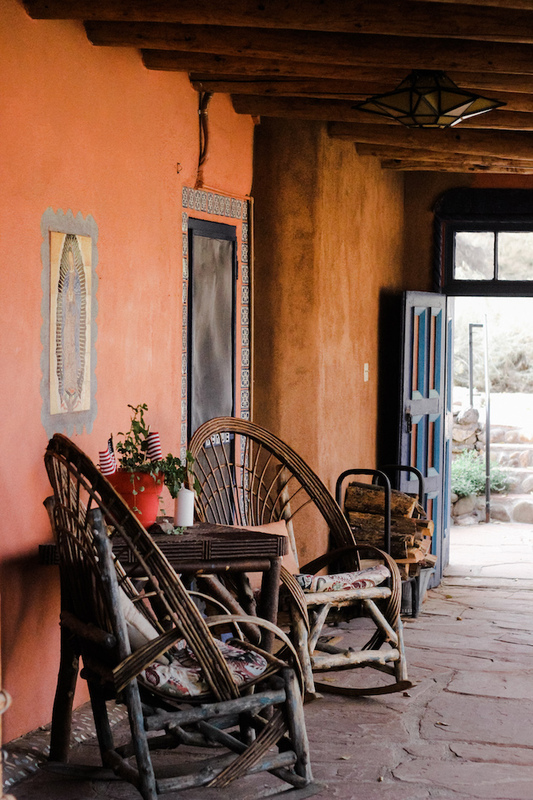 What a beautiful guide of New Mexico, I haven't seen this kind of houses so it would be interesting to see in real life. 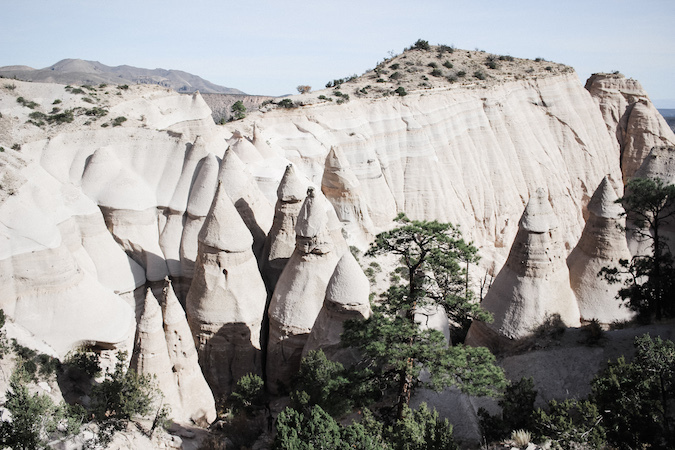 The Tent Rocks are also interesting, would love to be here one day. Wow! You just showed us parts of Mexico they never show in the movies. These are beautiful images. Amazing I wish i could travel in this place too. Just an amazing place in this winter which describe the beauty of the attire. Everyone wants to go this place. 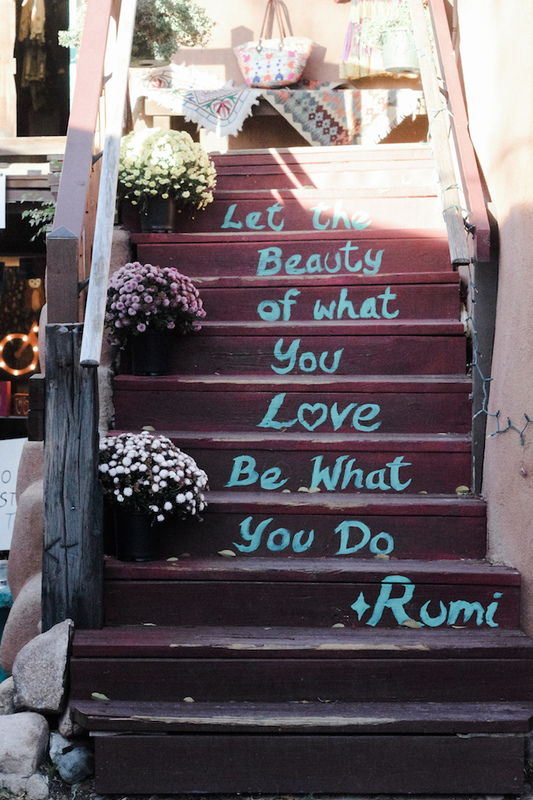 Your travel posts always give me a serious wanderlust. Your photos are amazing. 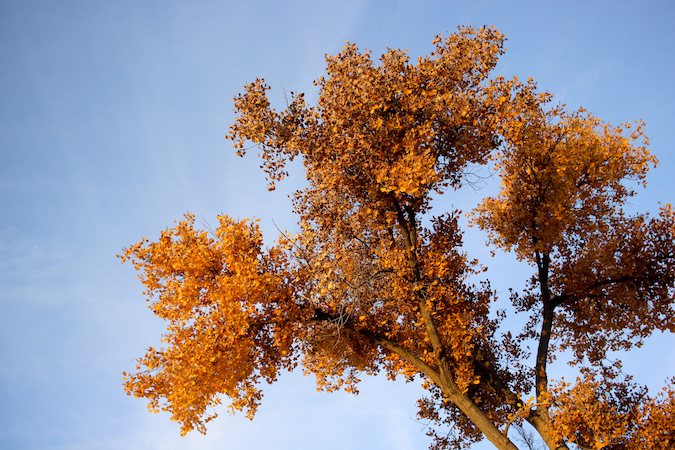 These are wonderful photos, and thanks for sharing with us. 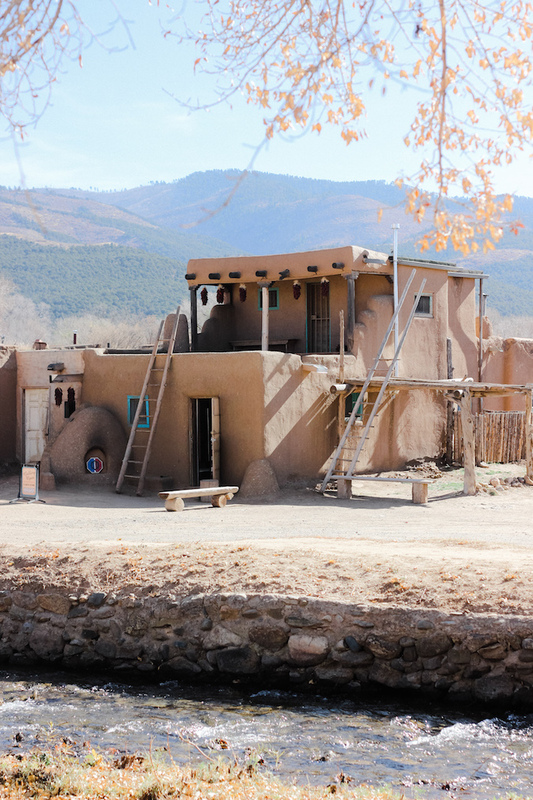 My flatmate in uni was from Taos. Seems like such a lovely place to visit. What brand for the handbag?